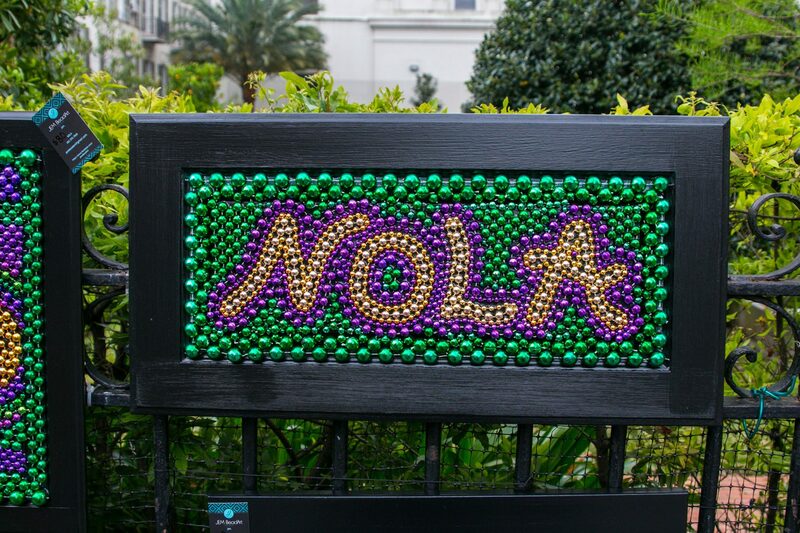 New Orleans culture makes for great memories and unique gifts. This holiday season, grab something for your loved ones or your friends back home–it’s the season of giving, after all! Whether it’s a local-made product or a popular gift, we have plenty of places to get the perfect present. 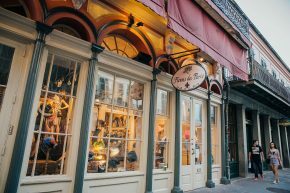 Here is our guide to holiday shopping in New Orleans by neighborhood. Bambi Deville Vintage Clothing for one-of-a-kind treasures, UAL for discounted designer goods, and Krewe for trendy sunglasses. Lucullus is close by and is great for antique goods. If you’re looking for a uniquely New Orleans gift, the French Market is full of great options. If Santa is looking for a last minute stop, Little Toy Shop is the place! 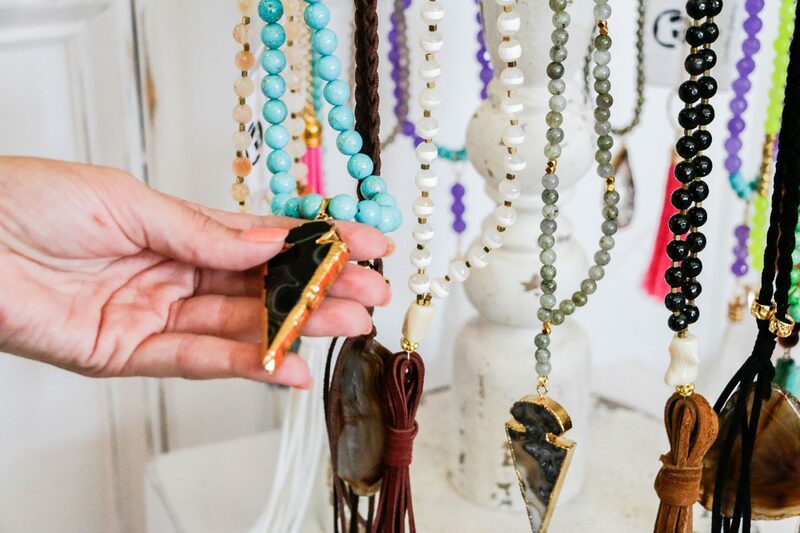 Every Saturday, you can shop the Piety Street Market for creative art, jewelry, collectibles and homemade goods from over 60 vendors. On December 15th, the market is dedicated to the holidays. Food and live music will accompany you while you shop! 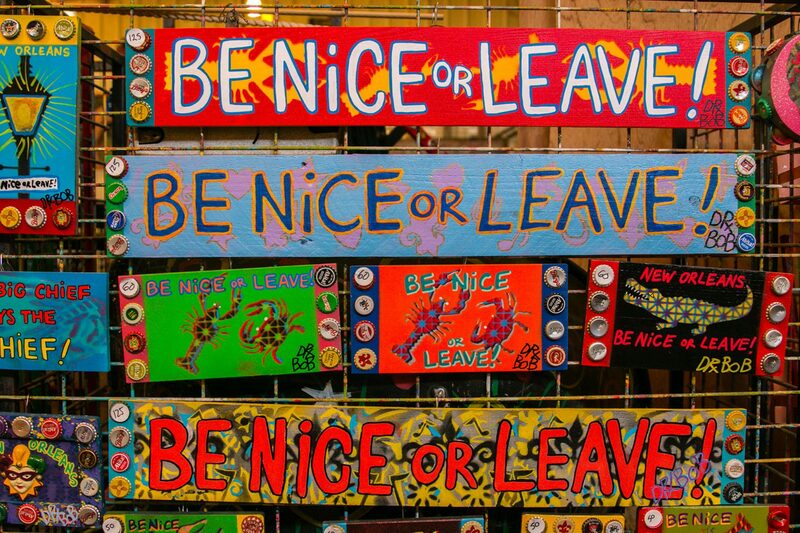 Venture to Dr. Bob Folk Art nearby for some one-of-a-kind, funky, NOLA-inspired art. 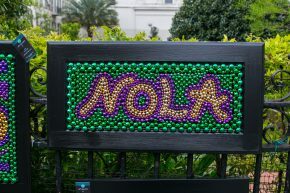 Take the St. Charles streetcar down to the Arts Market of New Orleans in Palmer Park. On November 24th and 25th and December 15th and 16th, holiday shoppers can browse through the work of 80-130 local artists featuring photography, painting, ceramics, glasswork, soap and more! Merriment Magazine Street begins the day after Thanksgiving and lasts until Christmas Eve. You can find all you need for decorating, gifts and entertaining. 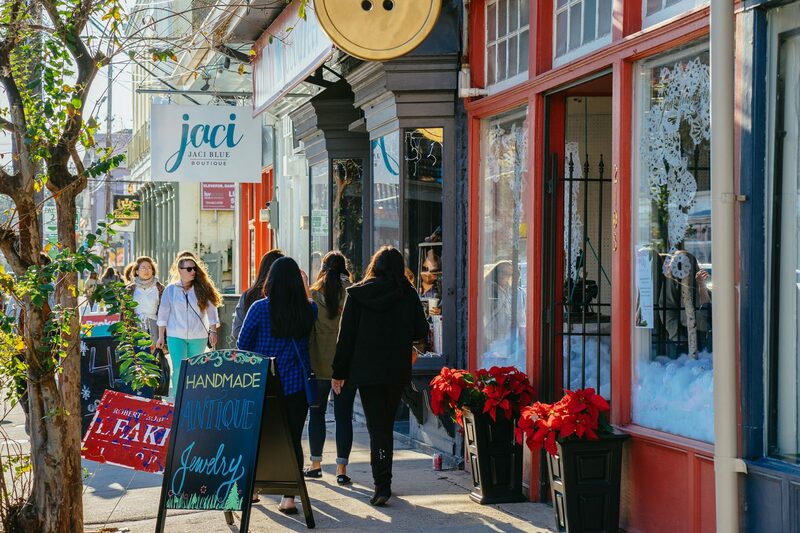 Some of our favorite spots along Magazine Street for gifts include NOLA Couture for New Orleans-inspired tees and accessories, Tasc Performance for athletic wear, Hazelnut for gifts for the home, and Pippen Lane for children’s clothing. Bayou Road is a great corridor to walk through history and support local businesses. 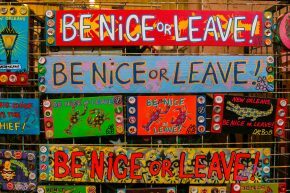 Community Book Center sells Afrocentric books and trinkets, Material Life is great for knick-knacks, and King and Queen Emporium International sells handmade body oils, soaps, bath salts and incense. The Central Business District has two shopping centers where you can knock out all your shopping. 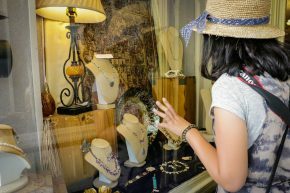 Head to Canal Place for high-end options like Sak Fifth Avenue and Tiffany’s and Co., or Mignon Faget for local jewelry. The Outlet Collection at the Riverwalk is a great destination for discounted prices. 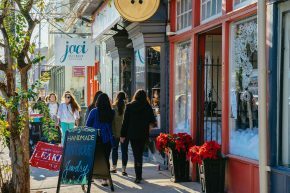 Julia Street is the place to go for all art lovers. 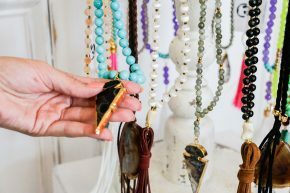 The galleries along the row make for great gifts to yourself or significant other. Arthur Rodger and Jonathan Ferrara are just two of our favorites. For more inspiration on where to shop, you can view all of our stores here.